Vaughn Velocity V7 XR Junior Goal Pant | Sports Etc. 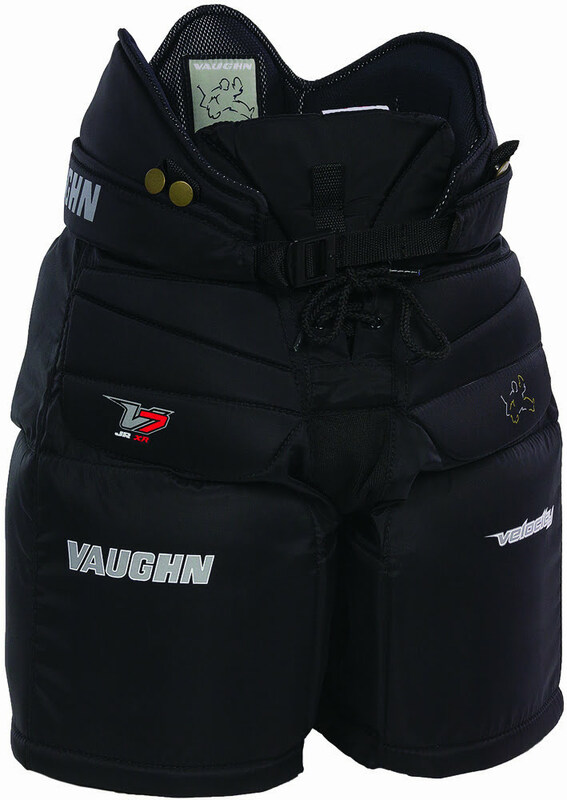 The Velocity V7 XR junior pant is a flexible and protective pant for a junior or youth sized goaltender. Wide upper waist section allows for chest protector to be tucked into the pants if desired, front belly pad and side groin padding improves frontal impact protection. Sports Etc Performance To Value Rating– 8 out of 10. Great pant for a young goalie making the transition into a goalie-style pant. Lightweight and protective, while not being overly cumbersome.